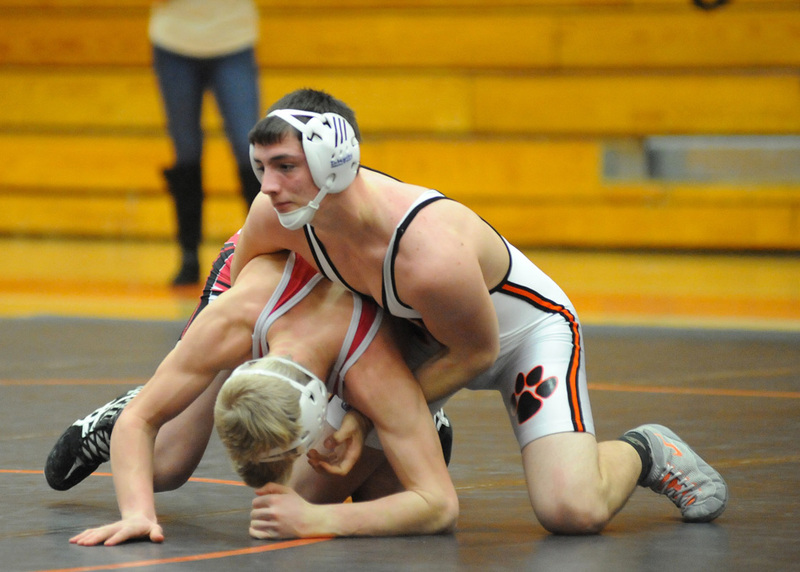 WARSAW – There isn’t much that Kyle Hatch hasn’t accomplished as a wrestler. There’s that one thing, well, that one is obvious. But the decorated high school wrestling career ‘Sloth’ has created will go down in the books as one of the best of all-time. 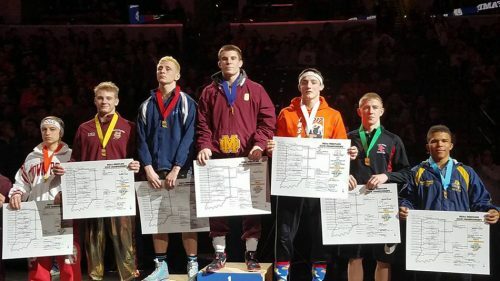 Hatch wrapped up his senior season as the third-best wrestler in the 152-pound class in the state of Indiana. At the IHSAA Wrestling State Finals, Hatch ran into a bulldozer named Joe Lee from Evansville Mater Dei in the semi-finals and had to concede his undefeated record to the eventual state champion. The notion that Hatch was coming up short of a state title once again didn’t – and doesn’t – sit well with him. But knowing he capped his high school career with a win later in the day against Jimtown’s Kenny Kernn was a feather in his cap. Hatch would finish his senior season 50-1, which the ‘1’ will probably be remembered more than any of the ’50’, but that’s the competitor Hatch is. The ‘1’ from his junior year was what drove Hatch to reach his superior level this season, a loss to Tristan Dembowski of Valparaiso in the quarters of last year’s 138-pound bracket at the East Chicago Semi-state that left Hatch at 40-1 but out of the state tournament. So doing the math, Hatch was 90-2 in two years and has just a third-place ribbon to show for it. That’s wrestling. But to spin that into a historical sense, Hatch would finish with a career record of 168-16, which serves as the most career wins in the long history of Warsaw wrestling, previously held at 164 by Derek Crousore. His 50 wins is the most in a season, and add in records for career pins as well as season and career takedowns, both takedown marks he upped his previous record totals after this year. Hatch reached a state finals in three of his four years, placing eighth at 106 his freshman year and seventh at 120 his sophomore year. Hatch can say with conviction that he has worked just as hard in the classroom, earning a 10.37 GPA (on a 12 scale) through the first half of this year, and is a two-time IHSWCA Academic All-State award winner, a First Teamer his junior year and Honorable Mention his senior year. One of the more interesting roles Hatch played outside the wrestling arena is one of the most anonymous positions in popular sport. The kicking game is often the third wheel in football, lost in the pageantry of offense and the grit of defense. Even so, the holder is certainly not a recognizable position. Find a person who can name two holders in historical context. But it would be safe to say that Hatch is the toughest holder in the state. And did the job for possibly one of the best to ever come out of Warsaw in Andrew Mevis, who played in the Under Armour All-American game and is going to get a Fordham University education because he can kick a football 50 yards. So how does one of the most high profile wrestlers in the state also serve as possibly the most overlooked person in a football program? Hatch vows his journey as a Tiger wrestler is just a chapter in his bigger book, which the next chapter will have him wrestling collegiately at Wabash College. Going back to seventh grade, when fellow senior wrestler Christian Taylor dubbed Hatch as ‘Sloth’ – Hatch divulging he hated being called that – that his meteoric rise through Warsaw High School wrestling would have that nickname become part of his folklore and serve as a badge of honor. There isn’t much that is slowing Sloth down these days. And certainly, the future is bright for one of the best to ever wrestle in tiger stripes.